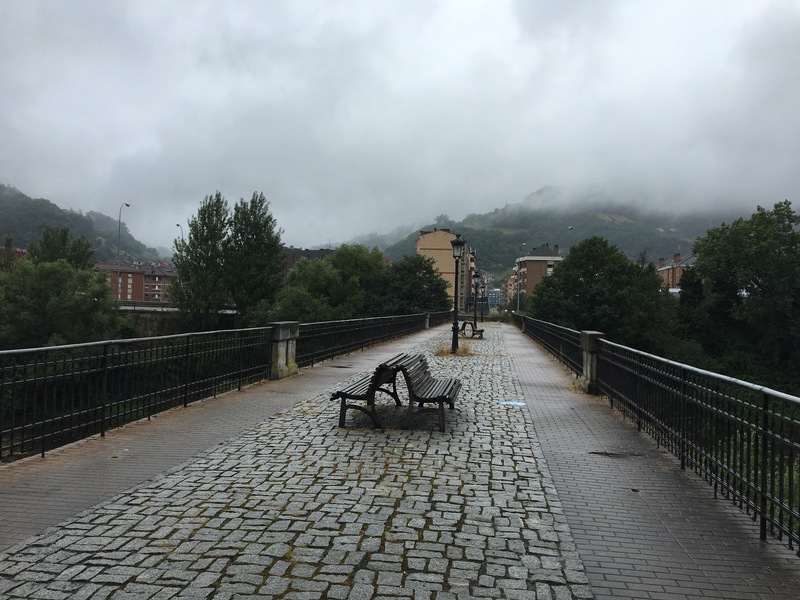 My fifth and final day on the Camino de San Salvador was, in a word, miserable. I was going to try to gloss over the hard parts or put a positive spin on it (and, well, I probably will find something positive from it), but I don’t want to be misleading about what this day was like for me. It was pretty miserable. In my last post I was writing from the morning of Day 5, in that warm cafe, sitting at a table with a faded pink tablecoth, watching a woman bring trays full of croissants and pastries from an oven in the back kitchen, listening to the rain strike against the pavement. I knew that I wanted to stay in that cafe for awhile and so I did. When I finally set out, the conditions were actually pretty good for walking: only the lightest mist of rain against my cheeks, and a perfectly cool temperature. The first 7km were on a flat, paved road that ran somewhat adjacent to a main highway. It was often bordered by trees but you could always hear the roar of traffic. At times there was that very light mist, at times it was totally dry. I kept my rain jacket on and walked, and walked, my stick clacking against the road with every step. I was dragging myself along. Those 7km seemed to last longer than entire days on the Camino, and that worried me. These were the first 7km of a 34km day, and while the first part of the day was flat, I would have some ascents and descents ahead. But I kept walking, my pace slowing down, and I did my best to focus on my destination- a town with a bar- where I could sit down and order some orange juice. And I did just that when I arrived in Uri, and the tall glass of freshly squeezed orange juice was one of the best things I’d ever tasted. But sitting in the bar, I could feel how drained my body was. Every single part of me was tired, but it was more than that. I was sick, an unignorable kind of sick, and probably not the “push through anyway and walk 34 kilometers through chilly, damp weather” kind. I left the bar knowing that in another 8km or so, I’d arrive in another town with another bar, and if I needed to, I could stop there. I told myself that I could stop whenever I needed to, that it didn’t matter when I arrived in Oviedo. So I started walking again, and I started worrying again. Then the rain started to come down a little harder, and I pulled the hood up over my head. As I walked, I passed a train station, and I paused for a long time, uncertain of what I should do. “It’s right there!” I said to myself. “All you have to do is go over there and buy a ticket to Oviedo and the trip will probably take twenty minutes.” I took a few steps, I stopped again. I took a few steps back, stopped, but then continued walking. The same thing happened a little later, when I passed another small station. I think I may have learned a lesson in here, somewhere. I never got on a train, I walked all the way to Oviedo. And I never stopped again for a rest, either. As I continued along, I just found a steady, persistent rhythm, and as I passed through each town, I told myself that I would just stop in the next one. But mostly I just wanted the walking to be over, I wanted to be in Oviedo. I should have taken the train. There was some stupid stubborness in me that wanted to walk the entire San Salvador route. 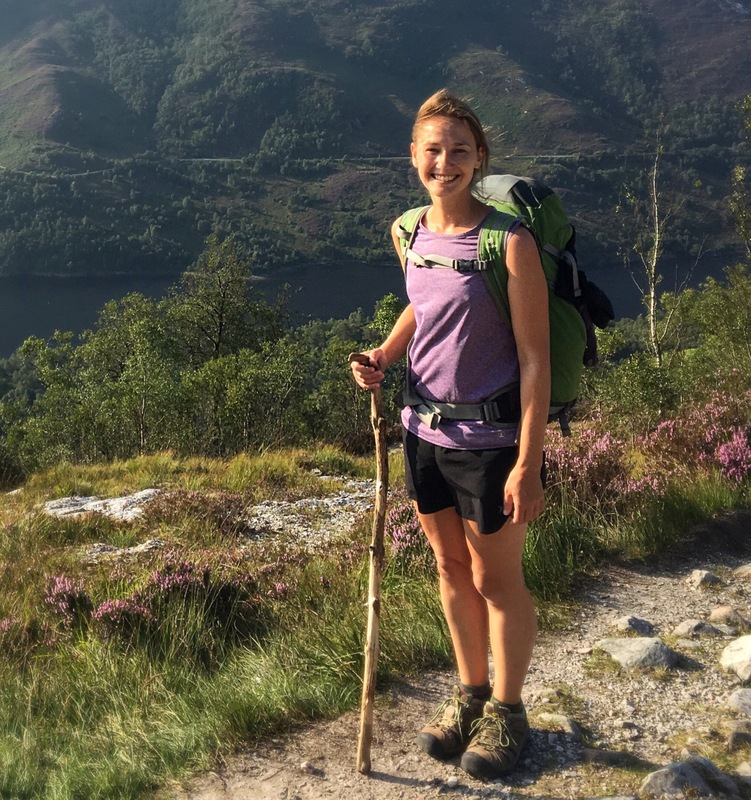 It reminded me of my time on the Camino Frances, how serious I was about walking every step. But that time, nothing really challenged me like it was challenging me now. What was I trying to prove, anyway, by walking every step? What did it matter? It’s like I had this plan in my head and I couldn’t let go of it. Of course I was going to walk to Oviedo! That was the entire idea! But man, sometimes, you’ve just got to take a break. 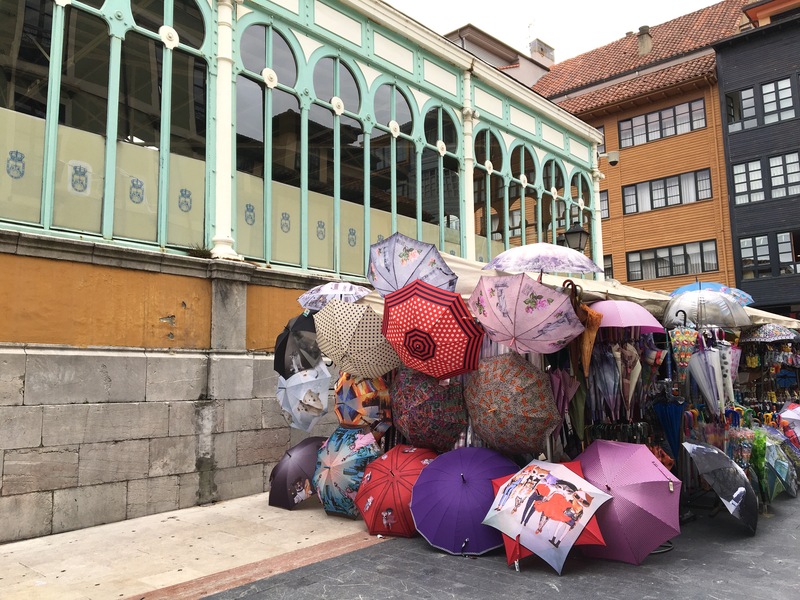 At some point during the walk, I made the decision to rest in Oviedo. To not go to the albergue, to not try to walk again the next day. I was going to find my own little room somewhere and hole up for two nights and sleep as much as I wanted and try and try to get better. I think the last few hours of walking were a practice in visualization. I just kept picturing a small hotel room, a bed, I pictured a shower and told myself that before I knew it, I would be cleaning the day off of me. At this point it was raining rather steadily; just a light rain, but it was enough to wet my clothing, my hair, my hands. A bit outside of the city the path wound up a hillside; I’d been walking on pavement for practically the entire day but as soon as the Camino moved to a trail, it was a narrow one that was once again overgrown. 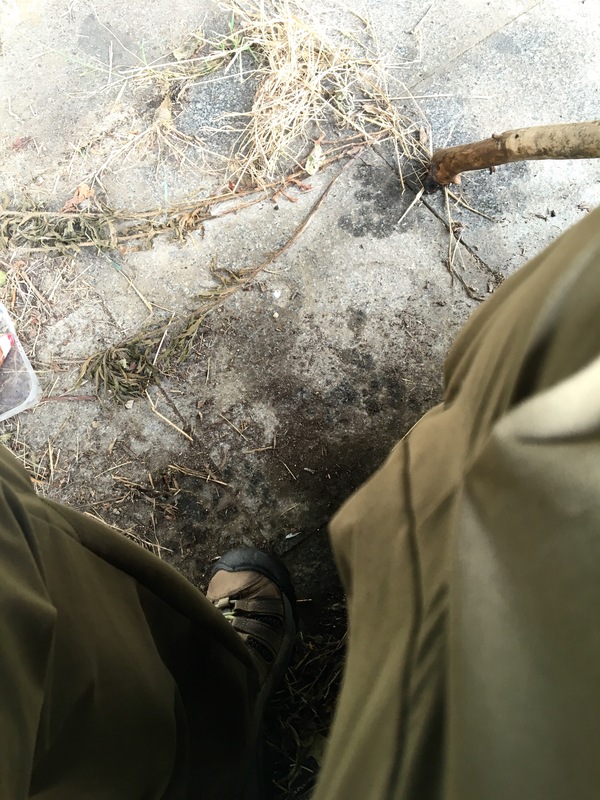 More thorns, brambles, wet leaves and branches but at least I was wearing long pants this time. Sometimes the trail was dirt-packed, at other points it was an old medieval road… which was cool, until I realized that it was mostly a bunch of really smooth, slick-from-the-rain stones that were extremely slippery to walk over. My already slow, slow pace grew a whole lot slower as I struggled not to fall. I made it to Oviedo. After a few tries, I found a perfectly small and inexpensive hotel room not far from the cathedral. I took a shower and crawled into bed and even though I intended to go out and find some food, I never did. I slept for a long, long time. The really sad thing about being sick in Spain is that I don’t have much of an appetite. I’ve been forcing myself to eat, but not much tastes very good. The cafe con leches, the vino tintos… they just don’t seem that appealing. But the freshly squeezed orange juice? In the past, I’ve seen other pilgrims order this day after day. And for some reason, I never did on my past Caminos- all I needed was my cafe con leche. But now? I’m a convert. 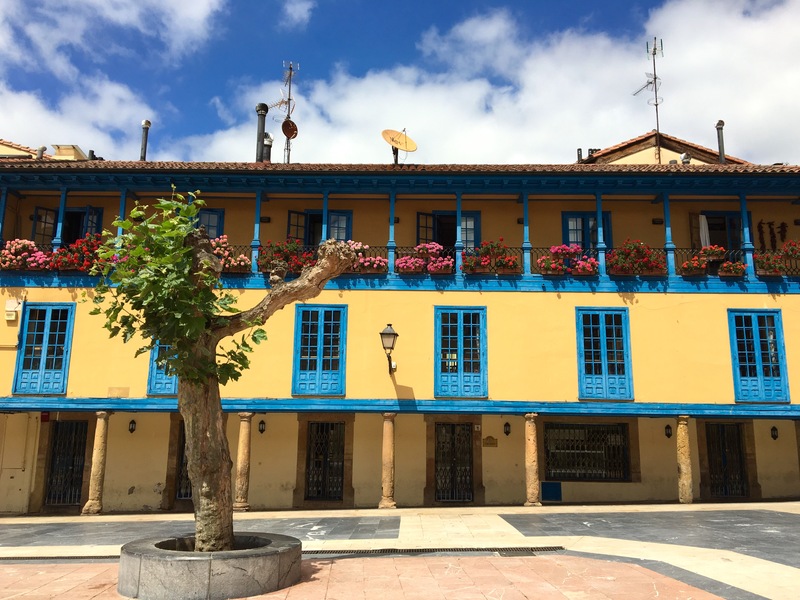 Oviedo is a beautiful city and the perfect place for a rest. I wandered a bit, I spent time in my tiny room, I slept as much as I could. 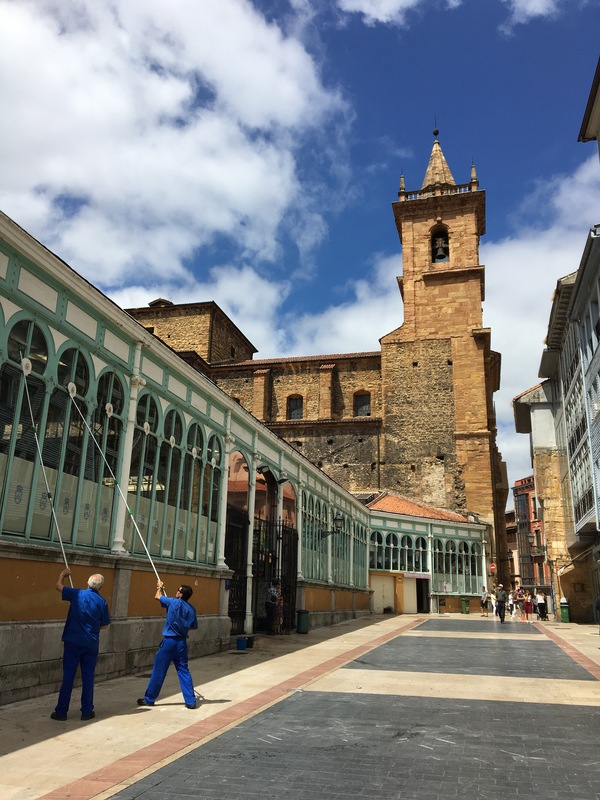 And then it was time for a return to the Camino Del Norte… but this time there were a lot of questions. 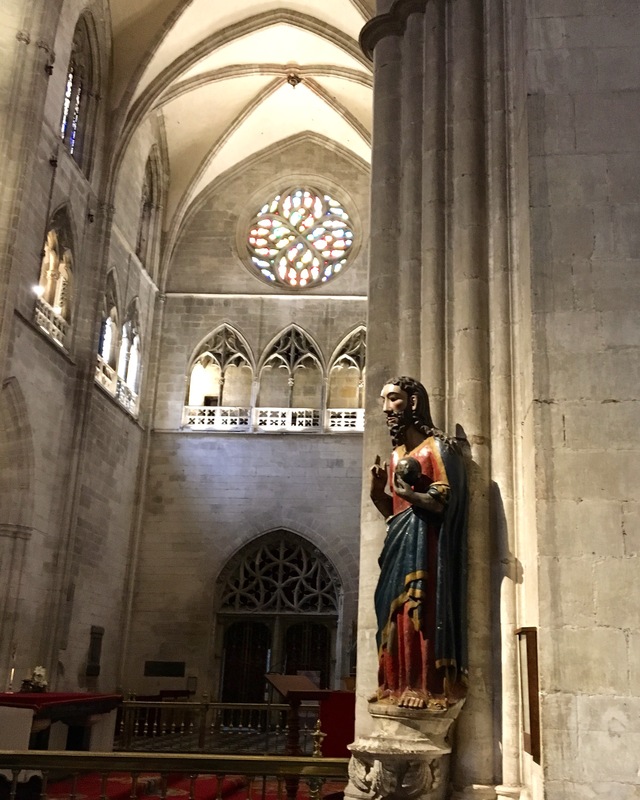 After losing a few days, I knew I couldn’t make it to Santiago in my time frame. Which part would I cut out? And would I be feeling well enough to walk the next day? Hope you feeling better quickly, being ill and being rained on is just plain misery. If you need to take transport, do it before you run out of options other than taxi. Wishing you a much lighter, healthy and sunny Camino Norte. Ultreia! Oh, Nadine! What a sucky, long, slog of a day. (shaking head) I totally get how you can just talk yourself into walking to the next town, and the next. That slowness is unnerving, isn’t it? When I was there this spring, I decided that it’s not really a Camino until you have at least one day that really breaks you. Here’s yours. That sounds so tough Nadine. I understand your decision not to take the train. I would probably have done the same thing. We should be kinder to ourselves. 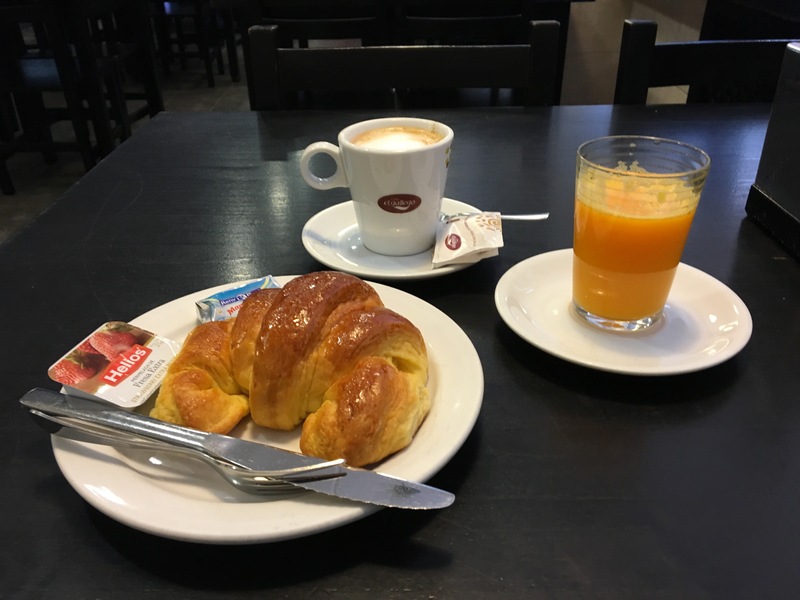 You could always miss the last two days into Santiago if a cmpostela isn’t important to you. I didn’t pick one up this year due to the interminable queues in the Pilgrims’ Office. Feel better soon! Buen Camino and happy belated birthday! Glad you had your rest day and a Compostela to show for it. Hopefully you turned the corner and feel better now. Hang in there – wish you well !